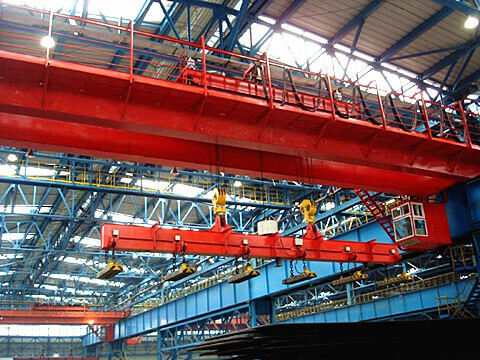 25 ton overhead crane is a kind of heavy-duty hoisting machine. 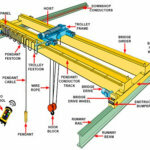 It mainly consists of the bridge, lifting mechanism, traveling mechanism, electrical system, and trolley etc. 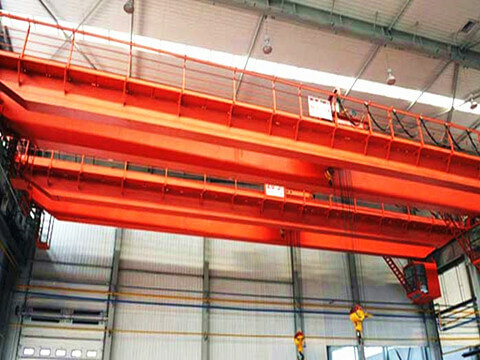 With strong lifting capacity, high efficiency, and stable performance, 25 ton bridge crane is widely used in the workshop, warehouse, garage, workstation, and many other places. As a professional overhead bridge crane supplier, Ellsen provides various tons of overhead cranes for global customers. Besides, our products have been won a warm reputation and certificates rely on the excellent quality and competitive price. Welcome to contact us for a long-term and win-win cooperation relationship. As an international overhead crane manufacturer, we offer all kinds of bridge cranes for different applications. First of all, we supply the overhead bridge crane with loading capacity from 0.5 to 350 ton. Secondly, we design and manufacture overhead cranes according to different working environments, such as garage bridge crane, workstation bridge crane, and warehouse bridge crane etc. 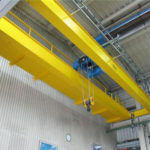 Thirdly, there are different overhead cranes available for different lifting conditions, such as the electromagnetic crane, grab overhead crane and explosion-proof crane etc. In addition, whichever the overhead crane, we provide different structures, such as single girder or double girder type, top running structure, underhung crane, and free-standing overhead crane etc. 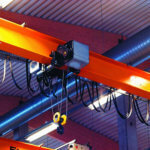 Want to know more information about overhead crane types? Contact us now. 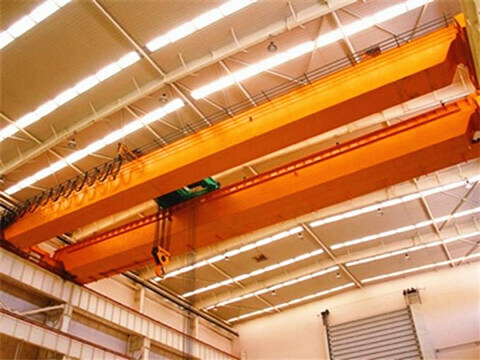 25 ton overhead crane is large lifting equipment. It is widely used for manufacturing and maintenance industry. 25 ton overhead crane for sale in Ellsen has various types and tons. Nowadays, our overhead bridge cranes have been successfully exported to over 90 countries and regions, such as Canada, Indonesia, Malaysia, Sri Lanka, Pakistan, Chile, Singapore, Australia, and Nigeria etc. And our products have won a quite warm reputation at home and abroad due to our excellent quality and factory price. Besides, with advanced technology and durable material, our 25 ton bridge crane has an extremely long service life. Wanna buy a safe, reliable, competitive and environmental overhead crane? Email us or give us a call. 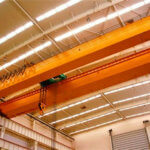 The cost of a 25 ton overhead crane is significant for buyers. Meanwhile, it is also important for overhead crane manufacturers, because a favorable 25 ton overhead crane price is vital for remaining a competitive power. Ellsen heavy machinery, with rich experience in the design, research, and manufacture of cranes, the high-cost performance of products is our main feature. Moreover, with powerful production capacity and reliable performance, our customized 25 ton bridge crane is getting more and more popular in the crane industry. Ellsen 25 ton bridge crane with absolutely high quality and reasonable price. Do you need one? 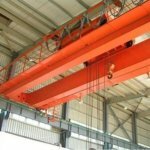 How to operate a 25 ton overhead crane safely and efficiently? 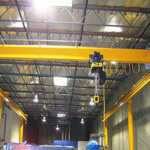 25 ton overhead crane is an electric crane. Therefore, the safe operation of it is very important. Here are some essential tips as below. Operators must be trained enough and learn the operation manual at first. 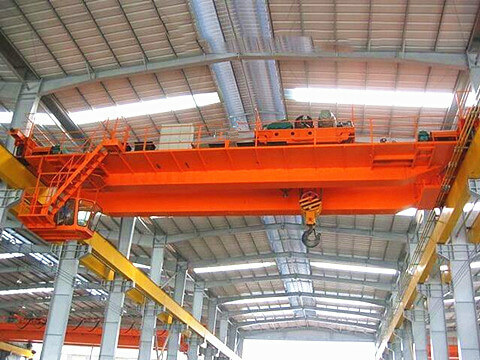 A regular check of the crane is necessary, include the brake, control system, operating mechanism, lifting hoist etc. The weight of items that a crane lifting do not over the rated capacity. Do not try to stop the hoisting crane with your hand or body. 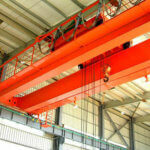 Avoid any swinging of a crane or grab or hook when the overhead crane is traveling. As an international overhead crane supplier, we supply various overhead bridge cranes for customers around the world. After decades of development, we have grown into the leading heavy lifting equipment manufacturer in China. 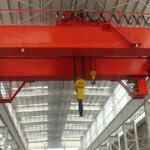 In addition, we offer quality gantry crane, jib crane, electric hoist, marine travel lift, and steel structure as well. And we promise we never sacrifice quality to saving the cost. Besides, we aim to provide clients with definitely impressive products and excellent service. Furthermore, we located in central China, therefore, we enjoy a quite convenient transportation condition. Apart from this, we have many other competitive strengths. Want to know more? Email us or leave your message below. Nowadays, we have built 8 after-sales service center all over the globe, in order that we can provide superior and fast service for our clients. Up to now, we have offered good after-sales service for over 300 customers. And they are quite satisfied with our work. 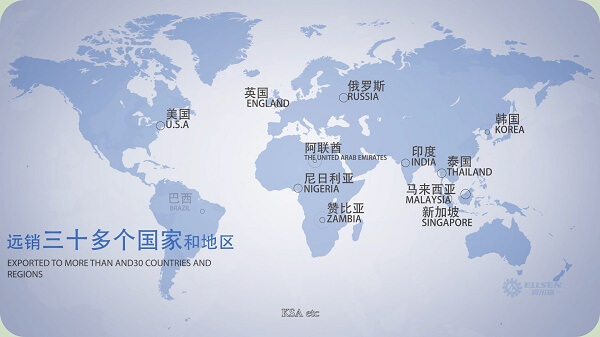 Furthermore, we have built a stable, long-term, and win-win cooperation relationship with many customers. What is more, if you have any suggestion about our service, we are very glad to hear your ideas. 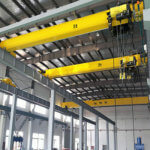 As the leading overhead crane supplier in China, there are various 25 ton overhead cranes in Ellsen. With reliable quality, factory price, and intimate service, our products have won a wide reputation from home and abroad. If you are interested in our bridge crane, you can email us or just give us a call, we will be very glad to reply to you as quickly as possible.